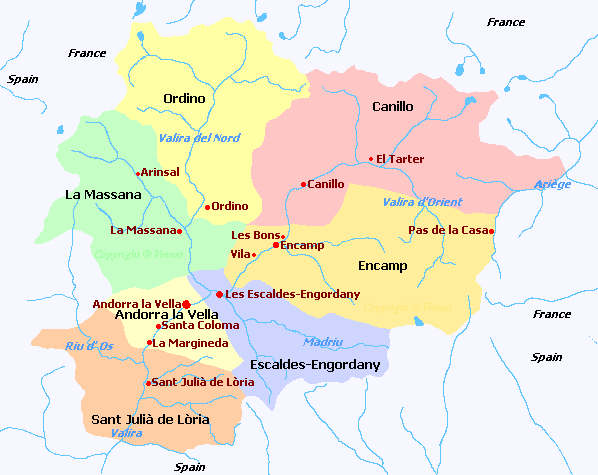 Andorra is located in Southwestern Europe in the Pyrenees Mountains, on the border between France and Spain. It covers a total of 468 sq km and has an approx population of 84,825. Andorra la Vella is the capital. Catalan is the official language. Andorra has a temperate climate, with snowy, cold winters and warm, dry summers.